Dean Kilpatrick, Ph. D. - Director of the National Crime Victims Research and Treatment Center, MUSC. 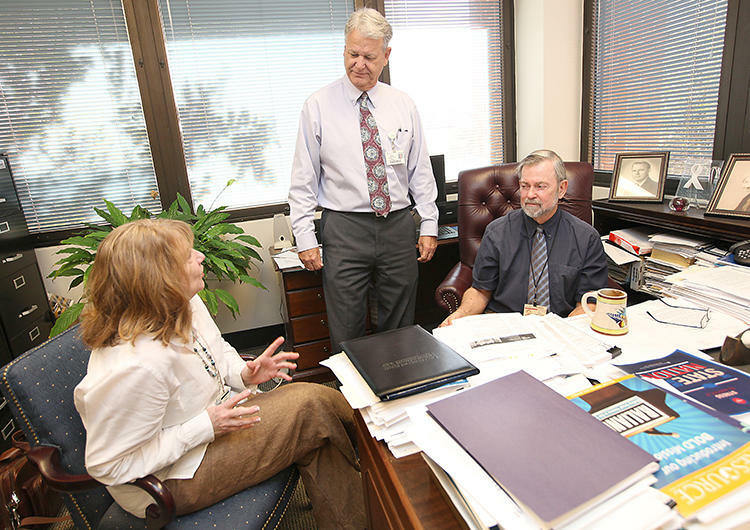 Vickey Cornelison (from left), Dr. Benjamin Saunders and Dr. Dean Kilpatrick discuss how to get the Mass Violence and Victimization Resource Center going. Dean Kilpatrick marks a milestone not by looking back, but by building for the future. He's the director of the National Crime Victims Research and Treatment Center at the Medical University of South Carolina in Charleston. As the center celebrates 40 years, it is also opening the nation's first and only Mass Violence and Victimization Resource Center. "We will definitely have our hands full as far as coordinating this," said Kilpatrick. "But we're just very happy to have the opportunity to serve. The center will essentially help victims of mass violence nationwide. 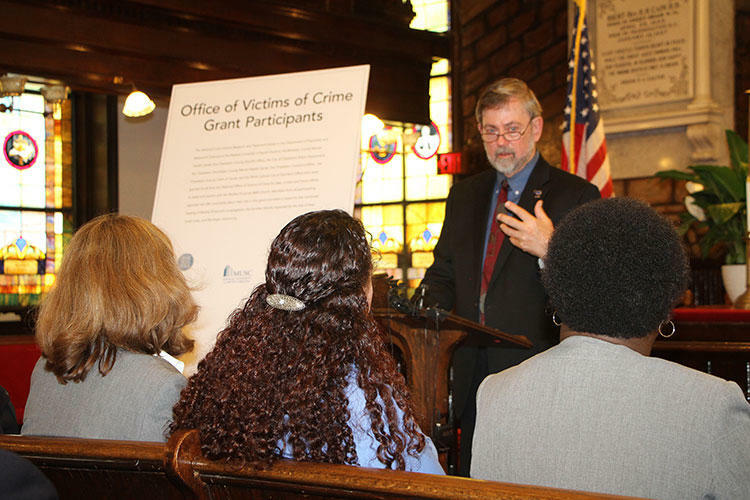 Kilpatrick says the U.S. Department of Justice Office for Victims of Crime reached out over the summer, looking for assistance with the growing number of mass casualty incidents across the country. 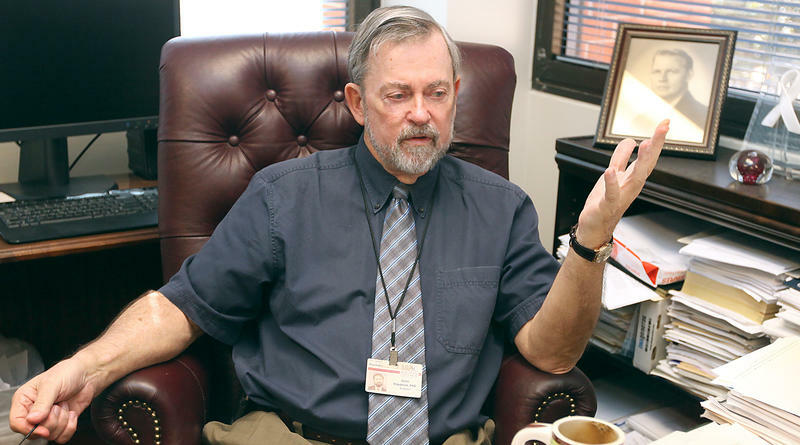 He and his colleagues have been studying traumatic stress and exposure to large-scale natural disasters for decades. They submitted a proposal and were awarded an 18 million dollar grant last month, just as a gunman opened fire on a crowd of country music fans in Las Vegas. The deal was finalized this week and once again, while the nation mourned, following a church massacre in Texas. Dr. Kilpatrick speaks at the press conference following the Emanuel AME church shootings. "The survivors of these horrific events deserve nothing than the absolute best that we have to give them," said Kilpatrick. "It's a huge job and it's getting bigger all the time because of the terrible things that are happening." Kilpatrick and his team counseled and provided resources for the survivors and the families of the victims of the Mother Emanuel shootings in downtown Charleston two years ago. He says they will never forget that firsthand experience and are dedicated to continuing their message of kindness and grace. Some family members publicly forgave the killer and all worked to keep peace in a community torn apart by the tragedy and in a nation struggling with divisive violence. "The way those families responded I think set a tone for the entire nation." The center will work with partners across the country, including first responders, attorney generals, mayors, police, mental health experts and journalists. They will research, train and educate people to make sure victims of mass violent crime have access to the best services, not just initially, but long term. It's a daunting task. It will also require hiring more people. But they say they've been preparing for this challenge for 40 years. "It's an awesome opportunity we've been given," said Kilpatrick. "But it's also a very awesome responsibility.